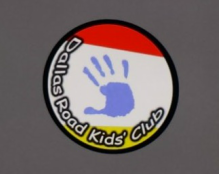 Dallas Road Kids' Club follows the same calender as Dallas Road School; this means that every holiday and INSET day at Dallas Road School, Kids Club is open (excluding Bank Holidays and from Christmas to New Year). During this time, we provide care for your children from 8 - 6 weekdays. During this time, we will provide four different sessions with a mix of craft and sports, and between each session we provide a snack. Drinks are available throughout the day. Children are welcome to stay for lunch, but must provide a packed lunch. During the summer holidays, our sister club, Moorside Kids Club join us, bringing their children and staff. This gives our planning a bigger pool of ideas and allows the children to meet others their own ages from different schools. Always good for moving up to secondary school with a wide social circle. Having more staff and more children in the summer, means we can go on trips and book special events. All information for playscheme will be posted out, or given to parents on collection from Kids' Club a few weeks before each playscheme along with a newsletter. It will also feature here, on this page. All planning is displayed in either the end room or big group room. IF you wish to see these plans, have any questions or ideas, please speak to the group leader. Every week, each playleader will plan different activities for their group. each group has a set room rota, so the children always know where they are going to be. Each plan is displayed for the children to read so they know what sessions are to take place. Big group have now taken to planning for themselves, so that every Monday, as a group, we plan for the coming week. This ensures that all the children get a say in what they want to do, from jewelry making, to cookie making!